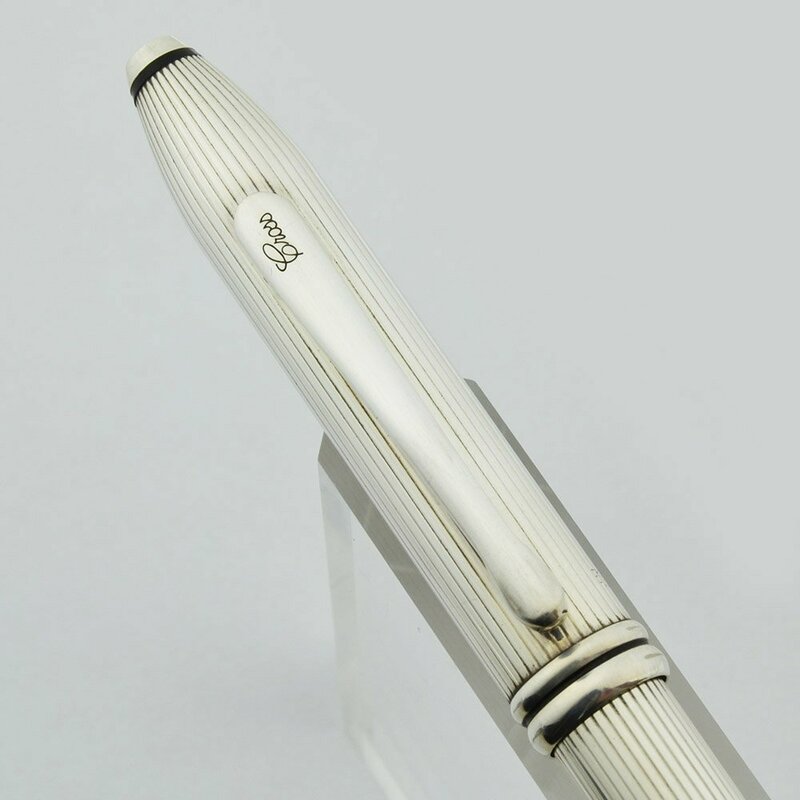 Cross Townsend mechanical pencil in sterling. Takes 0.5mm pencil leads that are loaded via Cross lead "cassettes" (2 included). Excellent condition with no personalization. 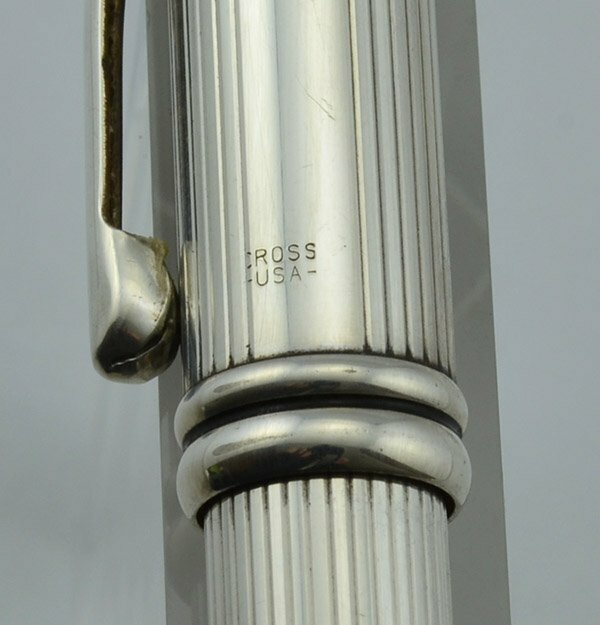 Manufacturer and Year Cross, USA -- the Townsend is a current model though the Pencil has been discontinued. Filling System Takes leads and erasers vis the Cross cassette system, which involves dropping a combo lead-eraser refill into the barrel. A new cassette is installed in this pencil which has 0.5mm pencil leads and an eraser. (We will include a second spare cassette.) When the cap is attached, the pencil works via a propelling system where you give the cap a half-twist to advance the lead, but without the cap, you can ratchet the eraser or push down on the end. 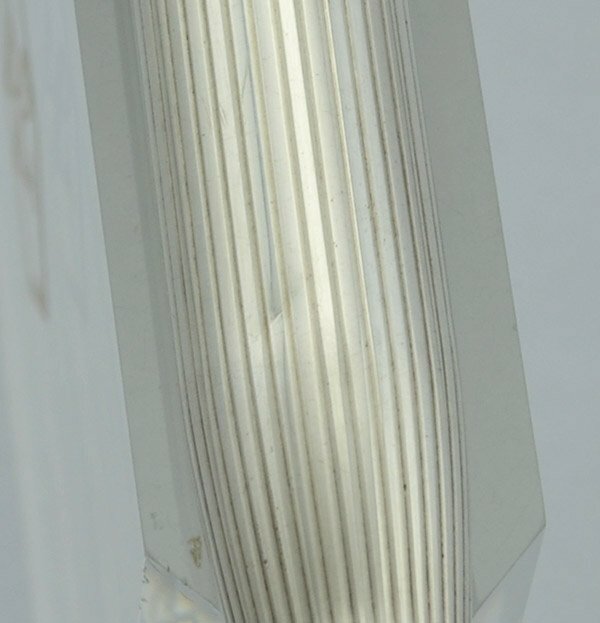 We have installed a new cassette in the pencil, and we will include an extra cassette sealed on the card. Condition Excellent condition, there are barely any micoscratches and the surface is well polished. It could be buffed further for shinier results. One small shallow impression toward the tip, see photo below.